An apt and still relevant warning against the dangers of Snack Pack deprivation. 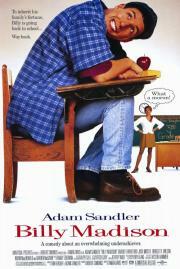 When Sandler's schtick was still somewhat funny. Some great lines on this one too. Infinite amount of rewatches. Basically a perfect comedy film. This is everything.